These are officially licenced Key Chains we are reselling with a custom tag. We stamp your text into each one per your instructions. Please include your text in note to seller at checkout. We offer silver and gold tags but both will come on a chrome chain and emblem. 1-2 words/numbers is best. Text can be upper or lower case. We love our Volkswear keychain and very much appreciate the special service we received relating to our order! This is the third keychain I have purchased. Always great quality and packaged with care. Custom Key Chain. Bus Bug, Volkswear, Chrome, Silver, Gold, Customize, hand stamped keychain tag. Really great quality product. Nice customization and a speedy and very helpful response when I realized I had made a mistake on the personalization on my end- they went out of their way to get it fixed. Great service, would definitely recommend! 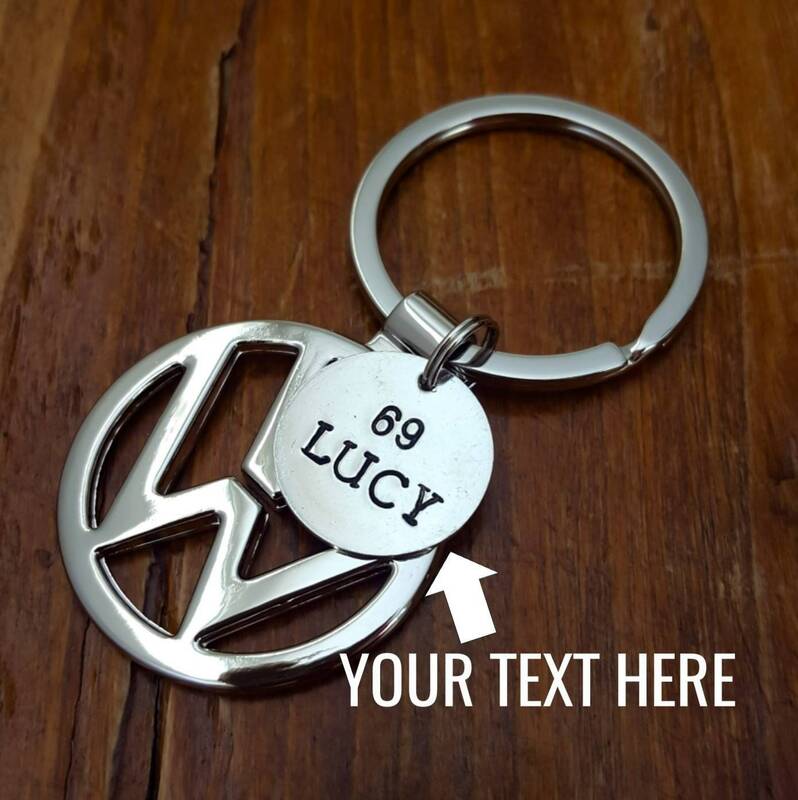 Volkswagen Custom Key Chain. VW Bus Bug.